We only have a few of the hundreds of Gene Watson lyrics that are available, but these are some of my favorites. In my opinion he has never received the acknowledgment of being the great country singer he’s due. The man has a tremendous voice and has recorded many country songs that are outstanding. It’s my belief that many country music fans have never heard some of his best songs. Not only does he have great country songs, he’s recorded many country gospel songs that deliver a great message. You don’t have to be a good guitar player or vocalist to enjoy playing and singing these great country classics, the important thing is to enjoy your music. We have a lot of different country artists in our lyrics collection, if you have a favorite singer that’s getting older, we probably have a few songs by him/her. 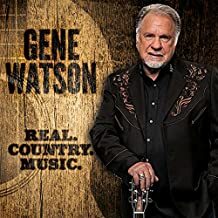 For those of us who love true traditional country music we can be thankful to Gene Watson for the wonderful songs he gives us. So many of them are timeless classics and such a joy to listen to. Use the country classic lyrics with chords to help you learn new songs. Thanks Gene for keeping it country! !